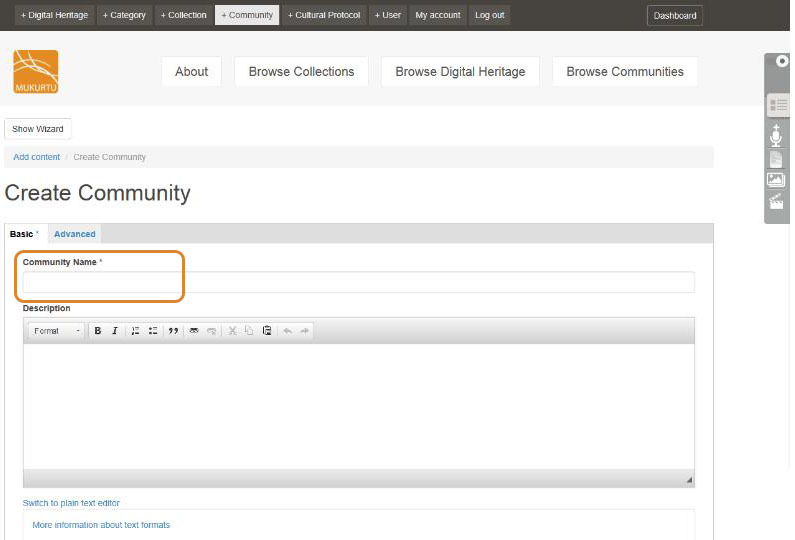 To create a new community, either use the +Community button from the navigation menu or the Create Community link from the Dashboard. The only required field is Community Name, but when creating a new community the more information, the better. 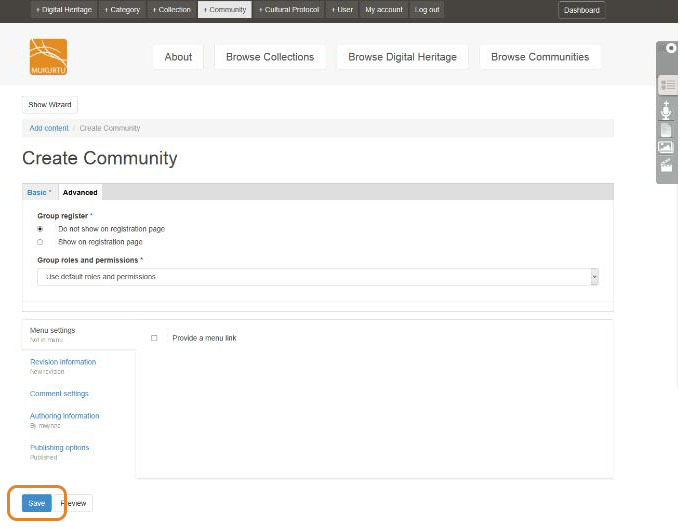 Best practice is to provide a brief description, so that users can have some understanding of the purpose of the community, its membership, and the content they can expect to find within. Communities can be customized with a banner and thumbnail image. In order for the community to be listed on the main site page, it will require a thumbnail. It can still be accessed without a thumbnail, but users will have to navigate to it through the Browse Communities button. On the Advanced tab, privacy and access settings can be changed. When a user first registers for an account, they can request access to communities (requests are approved by community administrators). For a new site user to be able to request admission to the community, select Show on registration page. This option is not selected by default. Group roles and permissions can also be modified, but this is not recommended without a thorough understanding of how roles and permissions work. When done, click Save. 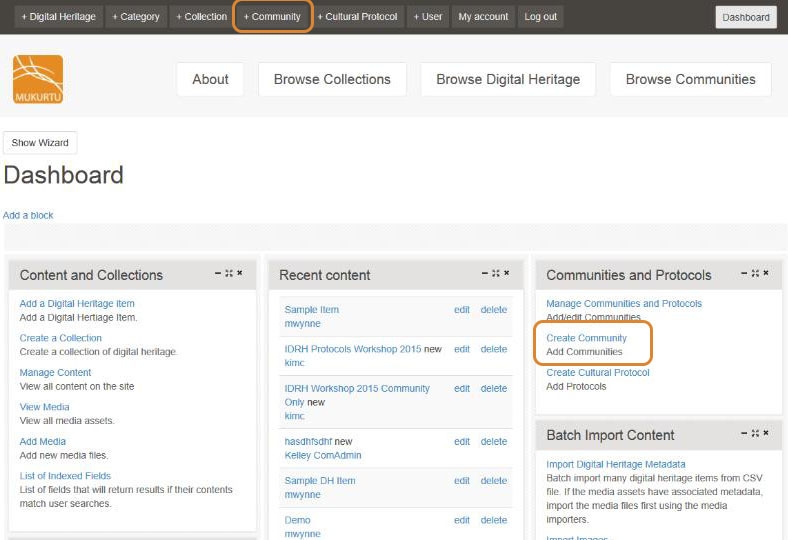 All fields can be edited or updated later by editing the community. You have been added to both the community and the default protocol. 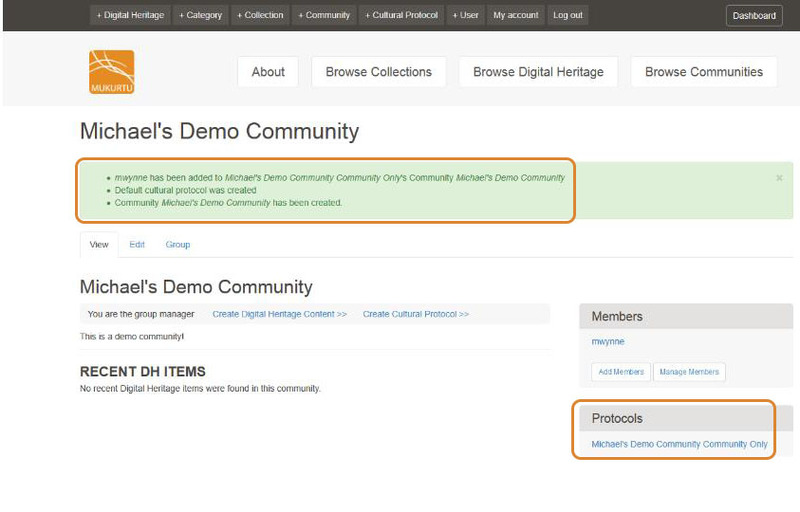 Along the right sidebar, the community membership is displayed, along with a list of all the protocols within that community that the user is a part of. A more heavily customised and populated community page is shown below. For more information about communities, read the support article What is a Community? For more information about creating communities, watch the video below. 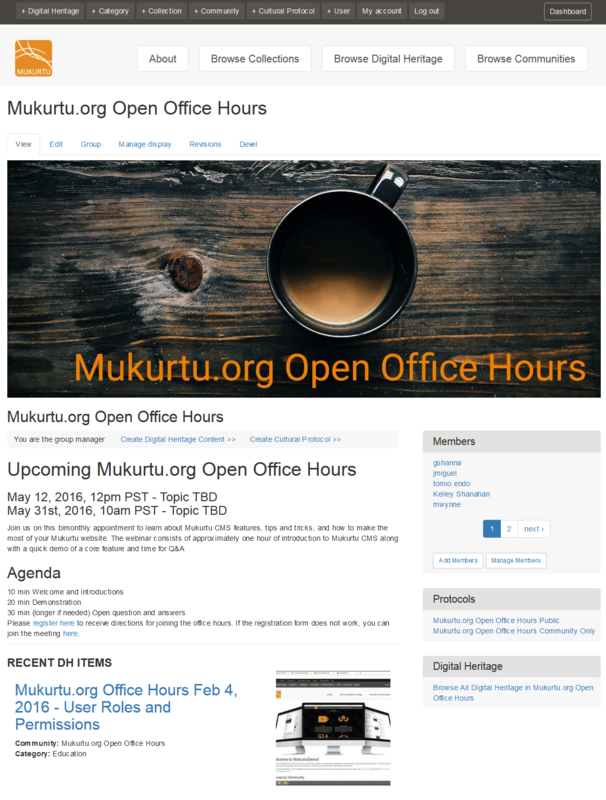 How to Create Communities from mukurtu on Vimeo.